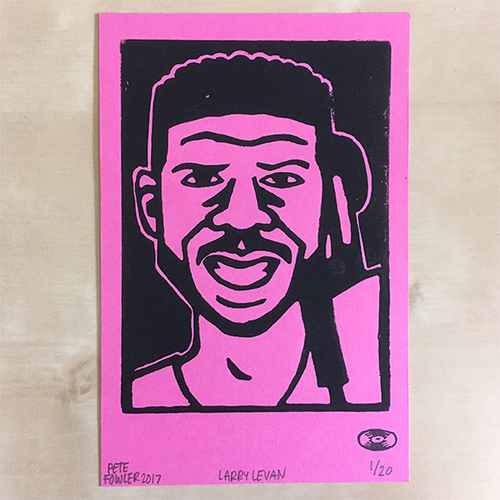 imited edition lino print of the legendary New York disco DJ Larry Levan. Hand carved and printed in my studio. Each print is signed, titled and numbered on pink Canford card measuring 12cm x 19cm. This colour way is limited to 20 prints. This is the first in a series of prints I’m aiming to do monthly based on the legends of disco.